This page has information on available resources to provide an overview of teaching in the Territory prior to commencing your new role. Contacting your new principal is a good way to learn more about the school, students and the community. details of the literacy and numeracy programs used in the school. Go to the Northern Territory Bushtel website for more information about remote communities. The teacher responsibilities guide clarifies the role of teachers working in schools. Read more about the teacher responsibilities guide. The Australian Curriculum forms the basis of teaching and learning in Northern Territory schools. 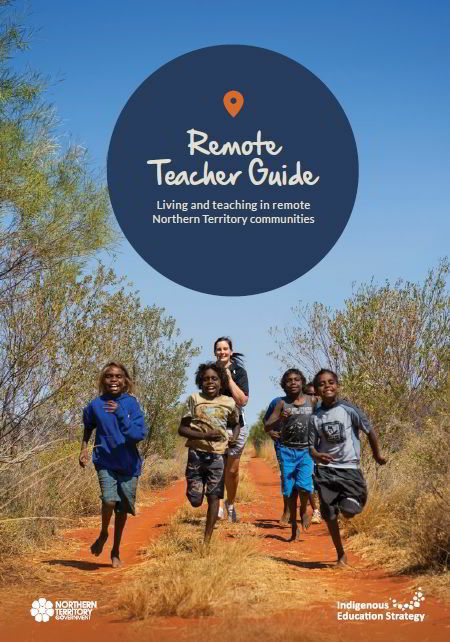 Read more about the NT school curriculum and curriculum resources for teachers. Go to the Australian Curriculum website for more information. Indigenous language speaking students have English as an additional language or dialect and are provided intercultural teaching and learning instruction as they learn the curriculum. Read more about English as a second language resources for teachers. Read more about the English as a second language policy and guidelines. Go to the Australian Council for TESOL Associations website for English as an additional language or dialect (EAL/D) professional standards. Read the EAL/D capability framework to develop knowledge and practice for teaching English as an additional dialect or language learners. A range of resources are available to support your teaching and professional development. Read more about support for teachers.